Computer games are being touted as a way to keep the body fit. Can they do the same for your brain? Although that’s the promise behind commercially available computerized brain-training programs, most experts say “Not so fast.” As described in Improving Memory: Understanding age-related memory loss, a new Special Health Report from Harvard Medical School, people who play these games might get better at the tasks they practice while playing, but the games don’t seem to improve users’ overall brain skills, such as attention, memory, use of language, and ability to navigate. A 2010 study published in the journal Nature included 11,430 men and women between the ages of 18 and 60 who were randomly assigned to one of three online brain exercise programs. One focused on reasoning, planning, and problem solving. Another focused on broader tasks of memory, attention, mathematics, and other skills. The third (the control) involved searching online for answers to obscure questions. After six weeks, people in the first and second groups boosted their scores on their assigned brain-training exercises. But they showed no improvement (compared with the control group) when they repeated several general memory and thinking skills testing that had been done at the start. An earlier study, sponsored by Posit Science, the company that created the popular Brain Fitness Program, used standard memory tests to assess 487 people over age 65. Half were then assigned to complete the program’s 40 hour-long sessions. The other half—the control group—watched educational DVDs and were quizzed on the material. The software users boosted their memory and attention scores more than the control group. But self-reported improvement in everyday situations was fairly similar: 48% for the Brain Fitness group versus 40% for the controls. There are no studies comparing one commercially available program to another or to mind-stimulating hobbies. Other factors that make it tricky to assess the worth of brain-building computer programs are the potential effect of programs that become more challenging as the player becomes more successful; the effect of competitive features in a program; and the player’s desire to get his or her money’s worth from buying the software, some of which costs nearly $400. So far, it looks like simply playing games that require concentration won’t help you remember important names, faces, and appointments. What can work are practical tools designed to address specific problems encountered in daily life. You can learn some memory-training techniques in the free excerpt of Improving Memory. To stay sharp, your mind needs regular workouts in creative thinking, problem solving, and intellectual focus. To stretch and exercise your brain, choose an activity you enjoy—reading, playing cards, or doing crossword puzzles are some good examples. If you’re feeling ambitious, try learning to speak a new language or play a musical instrument. Most of these activities come at a much lower cost than brain-training programs, and you’ll probably find them to be a lot more enjoyable, too. More complete information on memory loss and how to prevent it is available in the new Harvard Medical School report, Improving Memory: Understanding age-related memory loss. You can read a free excerpt or buy the full 50-page report at www.health.harvard.edu. I believe they can keep your brain in a good shape, but not all games. For example First Person Shooters, might improve your perception, fast decisions. Team leaders can develop tactical skills and squad management. Strategy Games or RPG Games can improve your critical thinking, develop strategies or management skills and decision making. 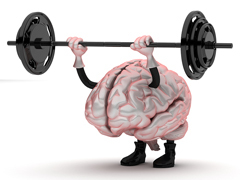 You can learn a lot new thinks from games and keep your brain entertained, challenged. Many of the things that you learn from them can be applied in reality like in the army, business and so on. I definitely believe that playing some computer games can keep your mind healthy and young. When we quit using our mind it ages and we need to continually be doing different things to keep it active. Working our body out while not focusing on our minds, is a huge mistake. I used to play more than 5 hrs a day that keeps me active to finish all other work without any boringness. The diet of an organism is what it eats, which is largely determined by the perceived palatability of foods. Dietitians are health professionals who specialize in human nutrition, meal planning, economics, and preparation. Thanks. Really so nice post. When I read this post I find many Useful Information. I re-comment it to my fellow learner. Well..thats depends of what kind of game we are taking about.If you keep some stupid game for 20 hours daily that will make you stupid as well.This all about the game we are playing,some of them make your brain working hard but the mayority doesn’t. Video games can have a very positive influence in the education of children, and, when used in moderation, they do not harm children’s academic performance. Wonderful article explaining the claims whether computer games really keep your brain fit. Surely it has to depend on the type of game being played? I mean some things we do without computers to challenge our brains and keep them active could and has been quite easily integrated into a game. I think yes they can keep our brains ‘fit’. Yes,computer games really improve brain functions,but it will depends on what games do you play. Yes, I agree that computer games really improve brain functions But some game can be harmful for brain. Currently, Most people play game using tablet and on big screen television. Video games has some benefits and disadvantages too. Yes it is beneficial to your brain to stimulate it but fatal if too much. This is the biggest problem South Korea is facing right now where video games are now become fatal to players. A recent news is a man died for playing StarCraft for 50 hours straight. Without limitations plus addiction then video games can be considered fatal for all players. I feel that video games can keep a person very sharp, whether it be pertaining to individual motor skills and reflexes for all age groups, to keeping keen awareness to one’s surroundings, which all apply to the real world existence. Also everything in moderation helps. Playing video games for 10 hours a day is not healthy. Very interesting study. I totally agree with what Patrick Carter said. I think computer games do refresh our brain cells too. I think it depends on what kind of games that we played, some games can train our brain to think and creative, but some others will only makes addicted to keep playing on and on. Interesting, it would make sense because most games are made to be logical, hence figuring out puzzles or breaking milestones. I would think in order to boost memory games would have to be created with that intention in mind. I definitely think computer games keep the mind focused. When I’m working and I can’t seem to focus on anything, I take a break from work and play tetris. It’s my way of “relaxing” and focusing myself back in on what I need to focus on. If I need new ideas for my business, I seriously result to tetris and other mind absorbing games because it puts the focus back. Are there any more recent studies? I know that this has been a focus for a lot of recent research and 2010 is quote old in terms of a report. If anyone could share any more recent research papers, I’d be very interested to know more. I don’t think so. I would think video games would do the total opposite. I can see it in my kids who love to play on the computer, their reactions to changes while at task on is quick and also eye to hand coordination is exceptional. I think computer games do refresh our brain cells. But too much of anything is not good. I have been a gamer since the dawn of the commodore, atari and a host of now alien systems. I remember the day before, during and after pacman. See computer gaming does help the brain. Now I own a program that the cover looks like a game. Learning depends so much with the learner and it carries it through also the skills of the persons. Playing too much games may be harmful for brain. I think, on the contrary, pc games can deteriorate our brane storm, since most often we have to simulate a situation in which it is not gonna happen in reality. So obviously in this way, our brave will keep it’s distance by the reality. Very interesting topic! I agree that computer games have several positive impact for our brain like improve memory skill, but it’s important to us to have limit time for doing this. And i think natural treatment is necessary too to keep our brain fit. I feel that playing video games helps hand eye coordination and definitely makes you think faster. Also everything in moderation helps. Playing video games for 10 hours a day is not healthy. Moderation is the key in life. I’m 63 and regularly play word games and I think they do keep my brain sharp. The following article could be of help. A lot of interest is being shown nowadays on coconut oil for the treatment and even reversal of Alzheimer’s disease. This interest gained momentum after Dr. Mary Newport, a physician who runs a neonatology ward at a Tampa, Florida put her husband who was an advanced stage Alzheimer’s patient, on coconut oil diet. Stunning and remarkable improvements were observed in the cognitive as well as physical abilities of her husband within as early as 15 days. Many caregivers have tried coconut oil diet on Alzheimer’s patients and have found good results. Put it simply Alzheimer’s disease is some kind of diabetes of the brain in which the brain cells are not able to utilize the glucose. Thus being deprived of the energy they gradually die. It is this gradual death of the brain cells that cause all the symptoms of Alzheimer’s and ultimately death. But there is another source of energy in the form of ketones which the brain cells easily accept and utilize. Ketones are metabolized in the liver after we eat medium chain triglycerides found in coconut oil. What is the ideal dosage of coconut oil? In all stages of Alzheimer’s disease the best way is to start with 35 ml of coconut oil equivalent to 20 grams of medium chain triglyceride along with the breakfast. After 30 days another 35 mill liters of coconut oil can be added to the evening meal or dinner. After 45 days another 35 ml of coconut oil is to be added along with the afternoon lunch. Thus after 45 days the patient will be taking around 105 ml of coconut oil per day. Within these 45 days improvements should be seen. This coconut oil diet can be continued for ever. Do not heat the coconut oil to high temperatures. Heat it if needed only for melting it. It can be mixed with food and given. Always opt for pure coconut oil. Pure coconut oil will not increase the cholesterol levels and is even considered good for the heart. Hydrogenated coconut oil contains dangerous levels of trans fats and needless to say it is bad for the heart. Bouts of diarrhea might be seen in some patients but it should normally subside over time. It’s an important topic, but I really think it depends on what type of game you play. If it truly is a simulating game that stimulates your brain activity by (as you mention above in the post) reasoning, memory, and attention then that is great. However, if its a game that is just based on pure entertainment without puzzles or logic solving/etc, there really doesn’t seem to be much available in that aspect of brain stimulation (in my opinion of course! :-)). Great Article! Although I think some game makers are starting to evolve more towards use your brain type of games. For instance a game for the Xbox called Rocksmith you can actually learn to play guitar. Yes real guitar. You use a real guitar not some plastic toy with buttons on it. You don’t even have to know how to play it’s like a personal video game music teacher. The game changes as you get better. Constantly challenging the brain by learning new skills or re-mastering old skills is enjoyable and a great way to keep the sharp. I agree that the mind, like the body, needs regular workouts to stay healthy and sharp. I’ve played games all my life, and while it’s a great past time, that’s all it is. It can train your reactions quite well, but not your brain. This is a very interesting study. I wonder if one of the reasons why computer games seem to improve memory is because they relax the user and help distress? I know lots of people who play online games and puzzles to unwind and I have been reading over at Belleruth Naparstek’s that there are studies showing that those who unwind with relaxation audio have better memory test results. I wonder if the stress reduction and computer games are linked when it comes to improving memory? I have a six year old son who is very much in to video games. He is amazing at reading and math, all that jazz. He does, however, have behavioral problems. I do not feel the video games have effected his learning. I would really love to see someone do a study on the possiblility of video games being a cause of ADD and ADHD. Most of the children I know who have played video games from a young age are actually very smart and I think the games helped in that area. But they all have ADD or ADHD and I feel there has to be a link. If it is found that it can cause these disorders, I would like to know if a time limit can be set to avoid risk of these disorders, or any other guidelines that can be used to avoid the risks. Perhaps children should avoid video games until a certain age, I do not know. I am just a mother, nothing more. Nonsense. Reflex, navigation and coordination are well practised through video games. Ever tried to play knuckles with a hard-core gamer? Like all things that matter I firmly believe that you need to have an interest in something to make it stick. When studying a subject that you have no interest in at all you will take far longer reading and reading again and again to take it in. If however you have an interest in the subject it normally goes in at the first attempt and stays there. <that is my finding. I don't think any improvement will come from computer software, especially if the subjects are of no interest to you. It’s possible that the researchers are measuring the wrong things. It would be like teaching someone swimming and then testing them at basketball. I agree simply playing games will not and cannot help you remember important names, faces, and appointments. I don’t think that a computer game can make us fit . If i stand then play with the game that can be make me feet. But some game can be harmful for brain. This is so true. People who plays the game might get better on playing in it but I don’t think it will enhance other brain skills. I agree simply playing games will not and cannot help you remember important names, faces, and appointments. To improve your memory skills requires practical tools specifically designed to address specific problems encountered in daily life. What would be an interesting investigation is to compare the results of students who use the traditional methods for such practical tools (classroom, one-on-one) with an interactive game version. I think computer “brain training” is evolving and studies have shown success in cases of rehabilitation for children who have had cancer, stroke patients, children with ADHD and other mental health illnesses. Brain imaging in these studies have shown increases in areas of the brain that control working memory and attention. What has not been proven is the longevity of these treatments and just as if one stops physical fitness training the body will not maintain its strength. There may need to be a maintenance program to keep the positive effects. Though it certainly is not a silver bullet for brain related problems, because of the easy access and affordability for most people, I believe it is worth more study. Neuropsychologists and Neuro-rehabilitation specialists are much more expensive than $400. Interesting, but I’m a firmly believer that videogames really improve brain functions. I’m 25 years old and I’ve been playing as far back as I can remember. I’m not a native english speaker, but playing videogames almost taught me english language. And it also improved my crativity and ability to solve puzzles. It is hard to tell wethere my brain would be working the same if I hadn’t played all those videogames, but I tend to think that it wouldn’t.